In a move strengthening Nepal-Pakistan ties, Pakistani Prime Minister Shahid Khaqan Abbasi embarked on a two-day bilateral visit to Nepal on March 05, 2018. As part of the visit, the Pakistani leader discussed strengthening regional cooperation, trade enhancement, among other key issues with his Nepali counterpart and other Nepali officials. A release from the Pakistani Foreign Office says Abbasi’s visit to Nepal will boost bilateral ties between the two countries in various sectors such as education, tourism, defense, among others. 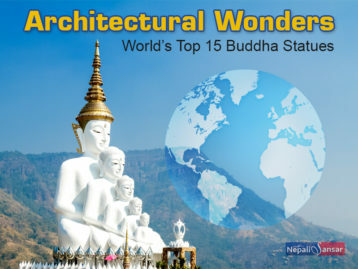 Interestingly, this is the first-ever high-level foreign official’s visit to Nepal after the announcement of new Nepali Government under the leadership of KP Sharma Oli as Prime Minister, and he is also the first Pakistani Prime Minister to visit Nepal in the last three years period. As part of his discussions with Oli, Pakistani premier discussed Nepal’s support for strengthening SAARC and sought cooperation in enhancing cooperation in defense, economic and cultural sectors. Lauding Nepal’s transition in the political process, Pakistani premier stressed on the need for enhanced economic cooperation along with ties in tourism, education and sports sectors. Towards enhancing bilateral trade and regional cooperation, the two leaders discussed reactivation of Pakistan Nepal Joint Economic Commission and the Joint Business Council. 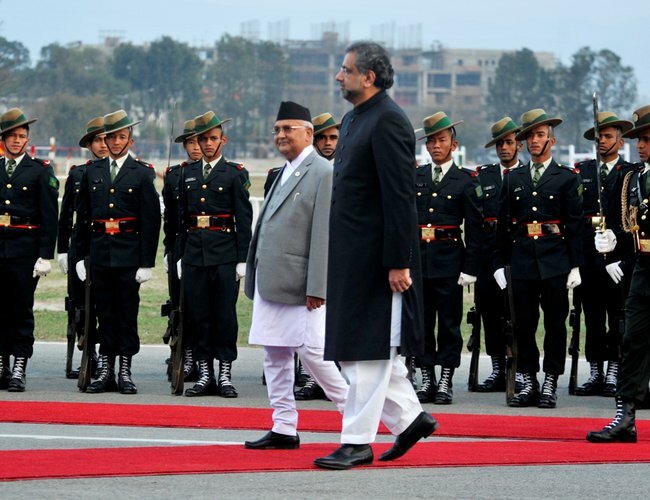 Welcoming Abbasi, the Government of Nepal also accorded a special guard of honor to him at Nepal’s Army Pavilion, making him the first leader to receive such honor from Nepal. 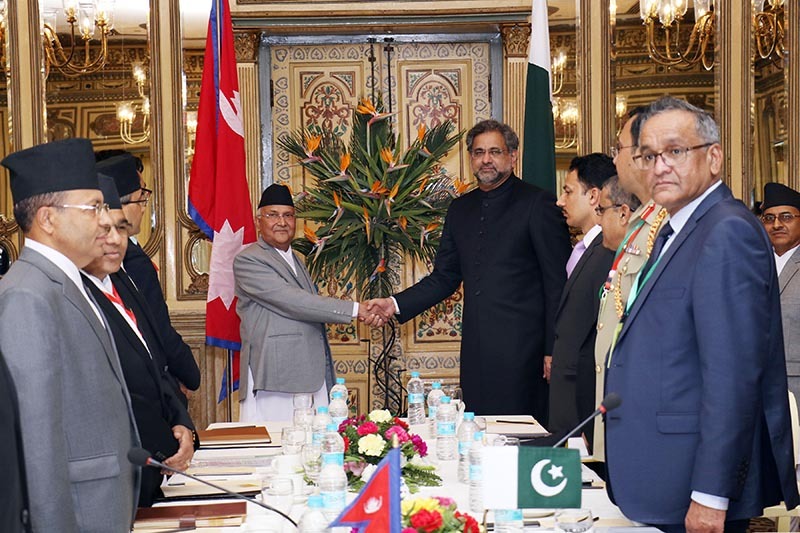 Strengthening South Asian Association for Regional Cooperation (SAARC) to make it more powerful with the support of Nepal is one of the top priorities in Abbasi’s visit. As part of this visit, the Pakistani premier urged Nepal for its support to conduct the next SAARC summit. While Nepal hosted the 18th SAARC summit in 2014, the 19th SAARC Summit was planned by Pakistan, however could not be happen due to reluctance from majority of the member countries to attend the summit. 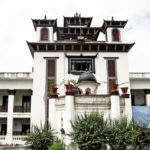 A discourse on the progress of the SAARC process will be initiated after the visit as Nepal has been a strong supporter of SAARC process from the very beginning of SAARC in 1985, hosted three summits before and is a strong supporter of it, says Lekhanath Pandey, a Kathmandu-based diplomacy analyst. Once this visit happens, I guess there would be positive ambits towards moving ahead under the umbrella of SAARC, Pandey added. SAARC Chamber President Suraj Vaidya termed Abbasi’s Nepal visit as an opportunity that would open more avenues for new ways of bilateral trade. According to Suraj, this visit also encourages regional trade, business cooperation and bilateral cooperation between the two countries across all areas of interest, while also contributing to the bilateral ties and overall development of SAARC region. He further opined that the two countries should think of exploring products of comparative advantage. According to Suraj, a direct air link, enhanced business visits and formation of display centers will favor Nepal-Pakistan trade ties ensuring increased profits for both the countries. Suraj further added that SAARC should also focus more on poverty alleviation and development of health, trade and commerce sectors. SAARC Pakistan Chamber’s Vice President Iftikhar Ali Malik urged on the need for promoting investment opportunities between the countries. 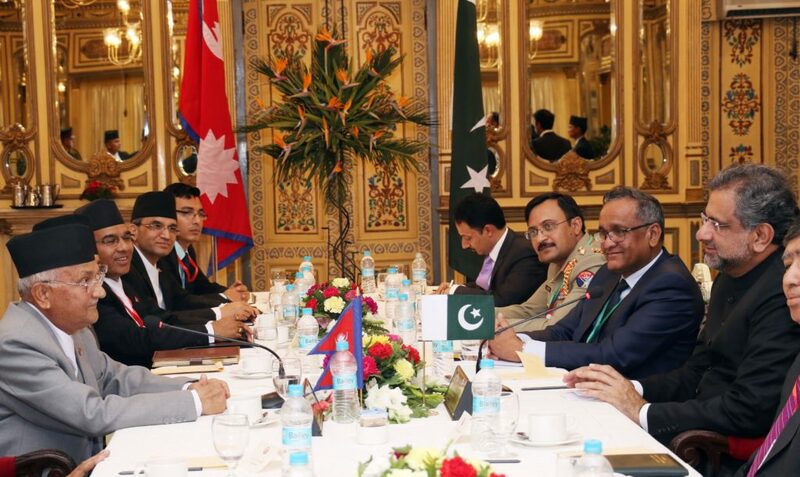 Stating that Nepal and Pakistan are vital to SAARC, Malik stressed on enhancing bilateral trade through enhanced cooperation in key sectors such as infrastructure, pharmaceuticals, automotive and agriculture industries. Welcoming Abbasi’s visit to the Himalayan nation, a delegation of Nepali CEOs and journalists from leading Nepali media houses called on the Pakistani premier for his update on key matters like China Pakistan Economic Corridor (CPEC) highlighting Nepal’s participation in the One Belt-One Road (OBOR) project, among others.